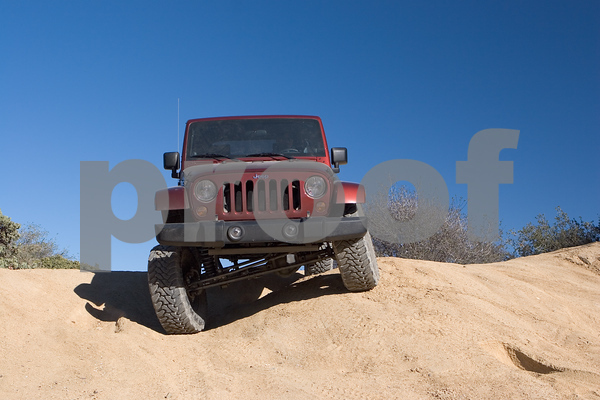 ctimrun just put a new 4.5" lift and 35" Toyo's on his Jeep JK Unlimited, so we had to go play and test out his flex. He was minus his front drive shaft while he's waiting for the upgrade to come in, so we stayed in 2WD to keep the playing field level. I let T.B. wheel my 2DR JK this time so I could take some photos for a change. Located in the Trabuco district of Cleveland National Forest, Main Divide is currently open from Ortega until the turnoff on to Indian Truck Trail, just before Modjeska Peak, and it has lots of side spurs with fun obstacles to play on.